I know that some of you have been waiting anxiously all week for part two of the Hot Yoga series. Here it is folks. My interview with Lana Vogestad. Lana teaches the Barkan Method of Hot Yoga in the Atlanta area. If you have not had a chance to experience her class for yourself, I strongly suggest that you take time out of your busy schedule and do so. Lana holds Barkan level I, II and III certifications, as well as helping assist Jimmy Barkan in his teacher trainings. This is what Lana had to say about the practice and its benefits. MYS: What drew you to the Barkan Method of Hot Yoga? After passionately practicing Bikram Yoga for 4 years in 2004, I was curious to broaden my horizons with the Hot Yoga practice. When Jimmy Barkan came to the studio I was practicing at in New York, I was excited to take part in it. I had heard wonderful things about him being the most senior teacher for Bikram in the 80’s and 90’s, and at the time I was considering going to a teacher training. I found his wisdom and insight into Hot Yoga very enlightening and refreshing. Even though the Barkan Method is just as physically intense as Bikram, there are more spiritual and philosophical elements integrated with a nourishing approach. I also love the variation, including more upper body strength, rotation of the spine, as well as different postures, which transformed my practice. I deeply respect Bikram but felt my body changing even more when I started delving into the Barkan Method. With the guidance of my Barkan teachers, my practice became spiritual bliss. I learned on many levels how Hot Yoga goes well beyond the physical and how there are deep roots and history to this practice. As Jimmy Barkan teaches, Hot Yoga is a specific lineage of yoga, it is not just yoga in a hot room. He also spends a great deal of time in his teacher trainings helping people find their voice and speak from their heart. Jimmy Barkan is a very humble yet extremely knowledgeable yoga guru. I feel truly blessed to have studied with him (attended 5 teacher trainings and continue to learn more!). MYS: What are the benefits of the Barkan Method? We strengthen and stretch all areas of the body, which helps to quiet the mind, and nourish the soul. The movements of the Barkan Method reach deep into the tissue, relieve tension and stress, revitalize and assist in overcoming many physical and emotional problems, such as sciatica, arthritis, back and neck problems, and depression. The room is heated to warm your muscles, prevent injuries and allow for a deeper release in your body. Sweating will also help flush toxins and poisons from the body. The PHYSICAL: The yoga asanas are designed to work internally and externally. Internally, improvements to the heart, lungs, spleen, kidneys, liver, and intestines are realized through consistent practice. Externally, the joints, muscles, tendons, and ligaments are all made stronger through The Barkan Method. The MENTAL: As in all forms of yoga, the mind is strengthened through the discipline of The Barkan Method, which helps to eliminate stress, depression, anxiety, and other mental disorders. The Barkan Method helps to create a calming of the mind, quieting of the brain’s chatter, and deep relaxation response. The SPIRITUAL: As we strengthen the body and calm the mind, we open ourselves up for a transformational experience. The intention behind the Barkan Method is to balance the body, quiet the mind and nourish the soul. MYS: What are the difference between Bikram Yoga and Barkan Method of Hot Yoga? The Barkan Method is built on many of the postures and philosophies of Bikram Choudhury and Bishnu Gosh, but integrates postures from other styles of yoga. Founded by Jimmy Barkan who has been teaching since 1981, he has found that even though consistency is important to measure results, daily variations are necessary to challenge, excite and help students become unlimited in their practice. The Barkan Method of Hot Yoga includes more upper body and core work, rotation of the spine, as well as more modifications for beginners and more experienced students. There are many alignment differences between Barkan & Bikram as well: Barkan does not believe in “locking the knee”, and crunching into the lower back. MYS: Is the Barkan Method accessible to beginners? Absolutely! There are modifications offered in each posture for those who need it. I personally have experience regularly teaching students who are undergoing chemotherapy, serious arthritis, debilitating back and knee injuries, scoliosis, depression, etc. and incredible transformations have happened through the Barkan Method. When the mind is willing, the body is willing! Lana Vogestad was teaching yoga full-time in Europe prior to moving to Atlanta in 2012. She taught Hot Yoga in Reykjavik, Iceland, for four years as well as in the Netherlands, where she helped open a new beautiful studio in The Hague, called Balanzs. She has well over 3000 hours of teaching experience. Lana has been regularly practicing yoga since 2000 when she started in San Francisco with the inspiring Bikram teacher, Mary Jarvis. The yoga changed her life, reshaped her body, healed injuries, and gave her peace. It was also a powerful force for her to start listening to her heart. Lana has completed teacher training programs with Jimmy Barkan, The Barkan Method of Hot Yoga Level I, II and III, in addition to extensive workshops with leading yoga teachers from various disciplines. She was raised in New York and holds a MFA from the School of Visual Arts in New York City and a BA from Bates College in Maine. 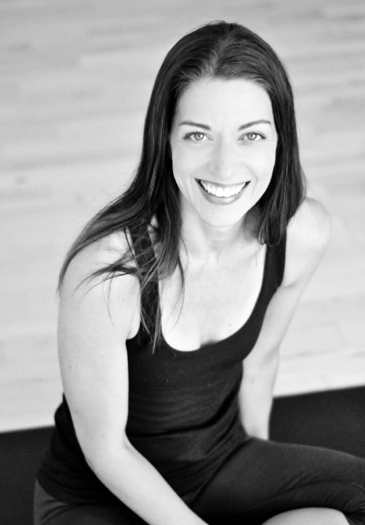 Lana teaches at Atlanta Hot Yoga, Decatur Yoga and Pilates and James Yancey’s studio at the Galleries of Peachtree Hills.